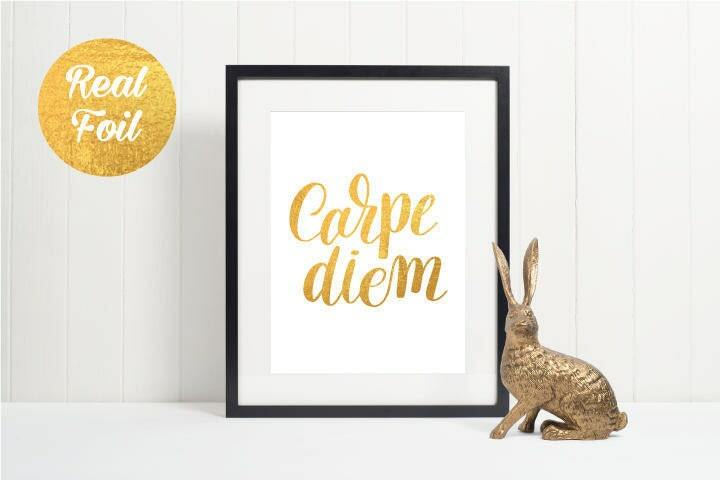 A beautiful A4 gold foil print of the quote "Carpe diem", meaning seize the day. Looks amazing on your walls at home or office. Sparkles in the light, creating a great feature point of a room. 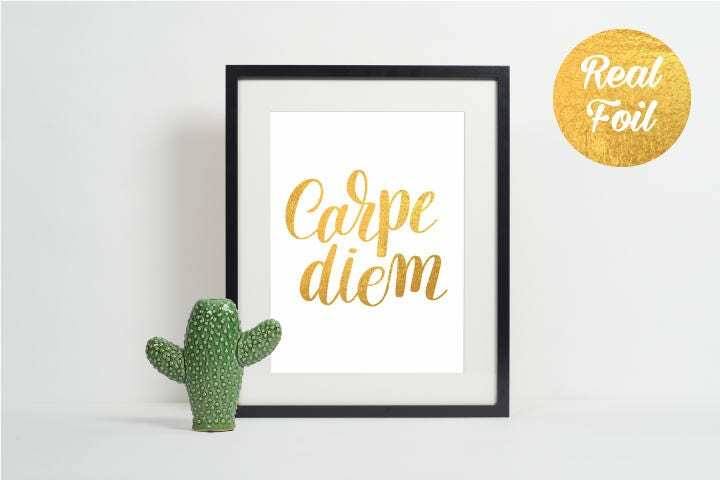 A unique product for your home decor, or a fabulous gift for anyone.